Caring School Community Program (Formerly, Child Development Project). This is a universal family-plus-school program to reduce risk and strengthen protective factors among elementary school children. The program focuses on strengthening students’ “sense of community,” or connection, to school. Research has shown that this sense of community has been key to reducing drug use, violence, and mental health problems, while promoting academic motivation and achievement. Classroom-Centered (CC) and Family-School Partnership (FSP) Intervention. The CC and FSP interventions are universal first-grade interventions to reduce later onset of violence and aggressive behavior and to improve academic performance. Program strategies include classroom management and organizational strategies, reading and mathematics curricula, parent-teacher communication, and children’s behavior management in the home. Guiding Good Choices (GGC) (Formerly, Preparing for the Drug-Free Years). This curriculum was designed to educate parents on how to reduce risk factors and strengthen bonding in their families. In five 2-hour sessions, parents are taught skills on family involvement and interaction; setting clear expectations, monitoring behavior, and maintaining discipline; and other family management and bonding approaches. Life Skills Training (LST) Program. LST is a universal program for middle school students designed to address a wide range of risk and protective factors by teaching general personal and social skills, along with drug resistance skills and education. An elementary school version was recently developed and the LST booster program for high school students helps to retain the gains of the middle school program. Lions-Quest Skills for Adolescence (SFA). SFA is a commercially available, universal, life skills education program for middle school students in use in schools nationwide. The focus is on teaching skills for building self-esteem and personal responsibility, communication, decision-making, resisting social influences and asserting rights, and increasing drug use knowledge and consequences. Project ALERT. Project ALERT is a 2-year, universal program for middle school students, designed to reduce the onset and regular use of drugs among youth. It focuses on preventing the use of alcohol, tobacco, marijuana, and inhalants. Project ALERT Plus, an enhanced version, has added a high school component, which is being tested in 45 rural communities. Project STAR. 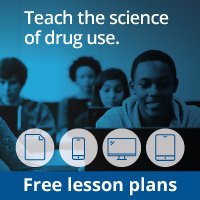 Project STAR is a comprehensive drug abuse prevention community program to be used by schools, parents, community organizations, the media, and health policymakers. The middle school portion focuses on social influence and is included in classroom instruction by trained teachers over a 2-year timetable. The parent program helps parents work with children on homework, learn family communication skills, and get involved in community action. Promoting Alternative Thinking Strategies (PATHS). PATHS is a comprehensive program for promoting emotional health and social skills. The program also focuses on reducing aggression and behavior problems in elementary school children, while enhancing the educational process in the classroom. Skills, Opportunity, And Recognition (SOAR) (Formerly, Seattle Social Development Program). This universal school-based intervention for grades one through six seeks to reduce childhood risks for delinquency and drug abuse by enhancing protective factors. The multi-component intervention combines training for teachers, parents, and children during the elementary grades to promote children’s bonding to school, positive school behavior, and academic achievement. The Strengthening Families Program: For Parents and Youth 10–14 (SFP 10–14) (Formerly, the Iowa Strengthening Families Program). This universal evidence-based program offers seven two hour sessions, each attended by youth and their parents, and is designed to help families to have better communication skills, teach peer pressure skills and prevent teen substance abuse. It has been conducted through partnerships that include state university researchers, cooperative extension staff, local schools, and other community organizations.